Dejan Lovren is confident Croatia can exceed the achievements of the iconic France 1998 World Cup team. Davor Suker and Zvonimir Boban helped Croatia to a stunning third-placed finish France 20 years ago, and the 2018 class – after years of promise – stand on the cusp of emulating that side but must first negotiate Saturday’s clash against hosts Russia in Sochi. There has been plenty of talk about the past and current generation since Croatia arrived in Sochi and Liverpool defender Lovren told reporters: ‘Of course the team respects the generation of 1998. They have made the biggest success of the national team so far. ‘They have set the bar so high that in 20 years, the national team hasn’t managed to top it. 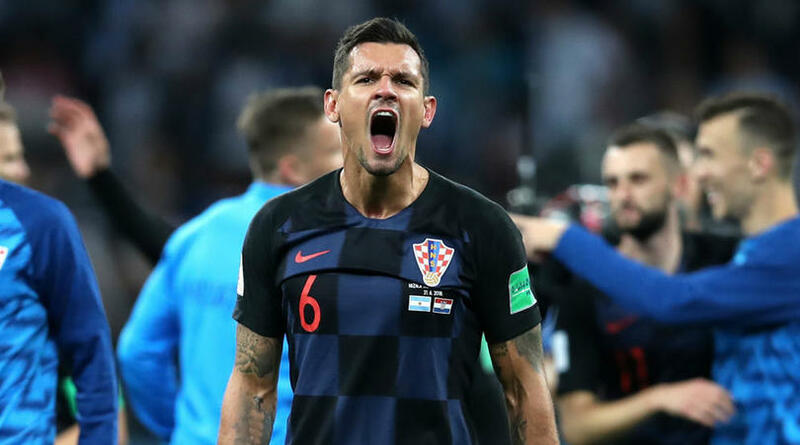 Croatia are considered a dark horse to win the tournament but it has not been all plain sailing for the Balkan nation following a difficult qualifying campaign. Ante Cacic was sacked on the eve of Croatia’s final qualifying match in October and replaced by Zlatko Dalic, who guided the team past Greece in a two-legged play-off to reach the World Cup. ‘What happened in the qualifiers is that we made our lives difficult even though we started off well,’ Croatia and Atletico Madrid star Sime Vrsaljko added. READ MORE: The year of the underdog?